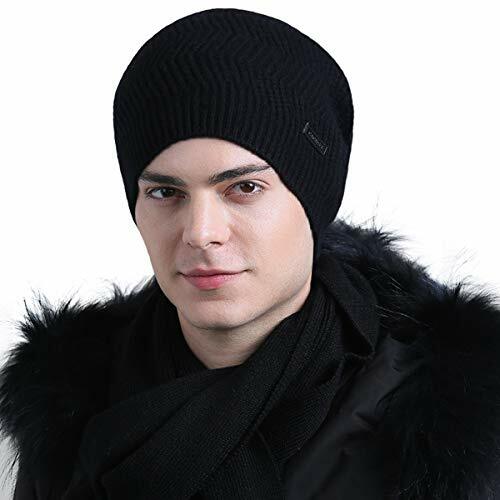 CACUSS Pure Wool Knit Hat for Men Solid Color Knit Beanie for Winter Business Thickening Large Wool Hat Warm Mens Autumn and Winter (Black) by CACUSS at Cheap Work Clothes. Hurry! Limited time offer. Offer valid only while supplies last. MATERIAL AND SIZE:100% wool,smooth and soft,warm and comfortable;One size(22.01-24.76 inches),almost suitable for all head circumference. FEATURES:Woolen caps,no easy to fading,shrinking and itching,thick and soft;Multiple colors to choose from;Weather suitable for autumn and winter;Can be used as a holiday and birthday gift to friends,family and lover. APPLICABLE OCCASION:Knit snow cap,suitable for skiing,riding,hunting,hiking,traveling,rock climbing and other outdoor activities;It is suitable for men of all ages.